Top Dog's "Golden Retriever" hot dog, popular with kids. 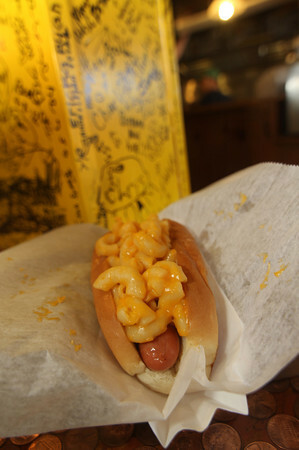 It is a hot dog covered in macaroni and cheese. Photo by Allegra Boverman.